This is a perfect dress for our toddlers. It is a one piece dress with a square neck, pointed bodice, and laces up the back. This is a perfect dress for our toddlers. It is a one piece dress with a square neck, pointed bodice, and laces up the back. 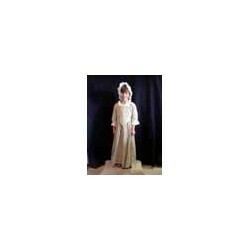 The dress is made of cotton and comes is a variety of colors.